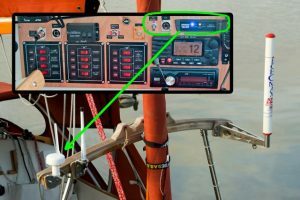 Choice of equipment: Initially I was going to rely on the Standard Horizon VHF radio to act as an AIS receiver with the information plotted on the Garmin Echomap chart plotter. However I decided that it would be good to also be able to transmit my existence using AIS. The Digital Yacht AIT2000 Class B transponder seemed to offer the best value for money. This can be obtained as a package with a combined GPS/AIS antenna. 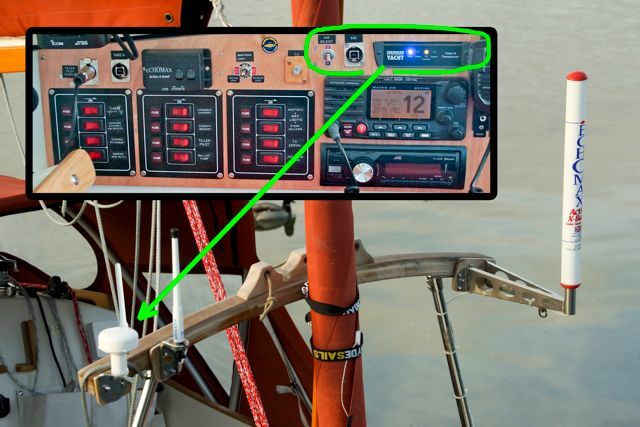 The first transponder supplied didn’t work properly and was replaced by Digital Yacht (apparently the antenna plug was not properly connected). Installation: The Transponder unit is not designed for panel mounting being a rather odd shape, however I managed to insert it in the electronics panel mounted on it’s own shelf. I also installed a USB socket to interrogate the transponder for setup purposes and a switch to put it in silent mode (AIS reception but no transmission). 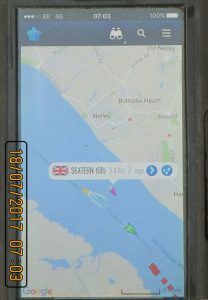 The VHF radio can obtain Seatern’s position (for DSC distress purposes) via NMEA from the AIS transponder as well as from the Garmin Echomap. The combined GPS/AIS antenna is located on the boom gallows. 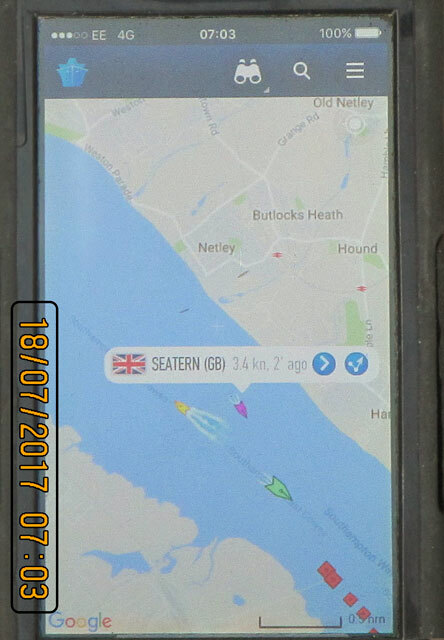 In Use: It obtains the positions and velocities of nearby vessels transmitting AIS messages which are then plotted on the Echomap, it gives positional information to the VHF. I assume it is transmitting AIS data when it says it is but I haven’t checked. * If I’m near the Isle of Wight I’ll check if I appear on an AIS web site which someone operates there. I don’t know what my transponders’s range is but I assume it is adequate for collision avoidance purposes (assuming the other vessel is looking!). The VHF transmit/receive part of the antenna came off and fell into Osbourne Bay (it doesn’t float). It had come unscrewed – Digital Yacht would not replace it under warrantee but the replacement was only £13. *Note added 2017: I have now checked and yes it does work! Also when I complained on the Digital Yacht stand at the Boat Show about the VHF antenna falling off they arranged to send me a spare free of charge.